For a very special episode of The Innovation Engine, we take our show on the road to attend the first annual RightsTech Summit in New York. The RightsTech Summit brought together a cross-section of companies, associations, and industry leaders to discuss innovation in rights management from Blockchain to enterprise. Among the hot topics at the conference was how tech-content partnerships are helping the creative industries drive successful monetization strategies. This episode will be structured a bit differently from previous episodes. It will feature 3Pillar’s Adi Chikara speaking on panel about crypto-currencies, which you can watch in both regular video format and 360-degree video format below. We also sit down with conference founders Ned Sherman and Paul Sweeting about why they wanted to create the conference. You’ll hear a few other clips from different panels throughout the Summit, as well as another interview with Karl Floresch of Ujo Music, Danny Anders of ClearTracks, and blogger/trader/Bitcoin & blockchain aficionado Tone Vays. You can hear full audio of each panel on the RightsTech Summit website. Interested in hearing more? Tune in to the full episode of The Innovation Engine via the SoundCloud embed below. You can watch full video of Tone Vays, Adi Chikara, and Cedric Cobban’s panel discussion on Crypto-currencies, Side Chains, & Fiat Portals below, in both regular video format and 360-degree/virtual reality video. If you want to put yourself into the action, you can watch in 360-degree video via the embed below. 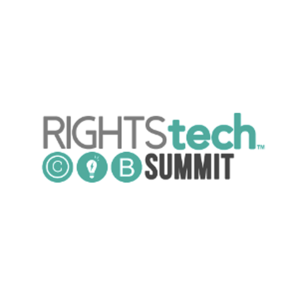 The RightsTech Summit was a one day executive leadership conference that united leaders under the focus of furthering technology innovation around rights management and licensing across multiple media verticals. The summit is a joint venture between Digital Media Wire Inc. and Concurrent Media Strategies, LLC. Its goal is to provide a first class conference for discussion, analysis, and debate on emerging technologies and technology-enabled strategies for the management, authentication, and monetization of creative rights across diverse media industries. Since 2014, 3Pillar has published The Innovation Engine, a podcast that sees a wide range of innovation experts come on to discuss topics that include technology, leadership, and company culture. You can download and subscribe to The Innovation Engine on iTunes or tune in via the podcast’s home on Stitcher Radio or SoundCloud to listen online, via Android or iOS, or on any device supporting a mobile browser. You can also download the podcast’s dedicated iOS app from the iTunes App Store.